Have you used this nursery rhyme while teaching? If you have, then you were probably utilizing time. 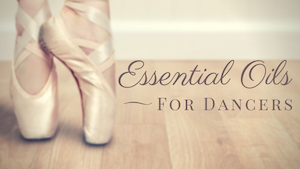 Time is an element that dancers use without even thinking about it. We clap the beat, we adjust the tempo or speed as need be, and challenge students with fun rhythmic patterns. We even play with accents. How many teachers have recited the phrase “run, run, LEAP, run, run, LEAP” while tapping on a tambourine, the loudest tap being on the word leap, or count three? Time is great for engaging the entire class when only a few students are moving. The remaining “audience” can accompany the movers by clapping the beat, accents or rhythm. Try allowing students to be in charge of changing the tempo or accent and watch how it affects the choreography. When I was young dance student I was always a few counts ahead of everyone. My body liked to go fast. As a dance educator I still work to slow myself down when I teach and when I talk and give presentations. I learned as a dancer how to dance with the music, how to count and perform choreography but my natural inclination is to go fast. All people have a natural rhythm that they need to adjust to various situations. When teaching, see if you can pick out the students who have a need to go fast. Which students bound into class full speed ahead? Which students have a slow inner tempo? Which students have a non-metric rhythm that seems to have no discerning pattern at all? You might find out that some of the kids that are moving really fast have a hard time slowing down because they lack muscle control or balance. And the kids who are prone to moving slow might need help in organizing their bodies. Some might have low tone and have trouble getting the push off the floor they need for jumps. Time is a tool that can give us a window into the inner workings of the body. Play around with beat, tempo and rhythm for a more cohesive class, to help the children learn to move together, and challenge their natural tempo inclinations. All around the cobblers bench the monkey chased the weasel; the monkey thought it all in fun, POP goes the weasel. Peas Porridge HOT, Peas Porridge COLD, Peas Porridge IN the Pot Nine Days Old. Some like it HOT, Some like it COLD, some like it IN the pot nine days old. For this exercise we stop and go. On every third beat we do a jumping jack. We jump out and hold the shape on HOT, we jump in and hold the shape on COLD, we jump out and hold the shape on IN and stay frozen for the remaining phrase. Then repeat for the next phrase. Hickory, Dickory, Dock, the mouse ran up the clock, the clock struck one, the mouse ran down, Hickory Dickory Dock. When I first started teaching pre-ballet, my mentor Carolyn Santanicola, taught me some dances she did with the little ones. One of them was to Hickory Dickory Dock. When Carolyn first taught me some of the preschool dances I was resistant to teach them. I wanted the children to come up with their own ways of moving. I quickly realized that children love to learn dances as well as make up their own. Teaching specific steps and rhythm is beneficial for little ones to integrate time into their kinesthetic world. Since nursery rhymes have poetic meters, they are easy to use when working on time. The possibilities of course are endless. Ask your students to suggest their favorite nursery rhymes as well. My daughter’s favorite nursery rhyme book right now is Monster Goose by Judy Sierra. His fur was black as night.